Ben Kingsley plays 'The General', a War Criminal in some unstated country hiding from those who would prosecute him for his crimes. His only normal human contact is that of his 'maid' (Hera Hilmar) - an, initially, reluctant participant in the relationship. Kingsley plays his part with equal indifference and suppressed savagery - though no explicit details are given of his 'atrocities' - you become quickly convinced that this is a creature capable of committing them. Hilmars' portrayal of a person bound by circumstance is equally ambivalent. Initially repulsed by The General, a tenuous connection rears it's head. There's very little in the way of 'action' during the entire film - this is not a film about actions, but about the consequences. Watching he interplay between 'The General' and 'The Maid' is both fascinating and morbid - like watching a car crash in slow motion. 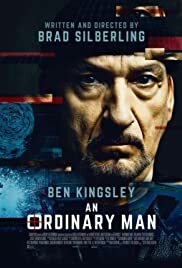 I heartily recommend this film for fans of Kingsley - but if you're expecting an action packed, explosion driven extravaganza of the more modern genre, you'll be disappointed. Hera Hilmar too, plays her part with a subtlety that shows the depth of her acting experience.